Tips for a Paperless Office - Quick wins towards a Paperless Office. - Less storage is needed: Paper takes up expensive office space which could be used for something far more profitable. - Paper costs money: Admittedly, cloud storage can cost money as well, but almost invariably virtual is cheaper. - Paper creates clutter: Buried desks? Paperwork avalanches? Noticeboards crammed with incomprehensible charts filled with coloured pins, dots or marker pen squiggles? All could be symptoms that a paper-free approach is the way to go. - Paper isn't safe: Not only are there security risks associated with leaving sensitive information in a paper format, there's also a chance of it being damaged or destroyed in the event of a fire or flood. For all these reasons and more, if you haven't yet gone paper free, now is your chance to begin doing so. Read on to discover our top twelve tips for paperless office working, helping you to keep your paper usage down to an absolute minimum. The generation of irrelevant information that nobody bothers to read happens everywhere. Before printing off a report, memo, spreadsheet, or letter, ask yourself whether it would actually be equally effective in electronic form. The answer may surprise you! Electronic storage is fast, secure, economical and accessible from almost any device. If you want to bring your company into the 21st Century, cloud storage is the way to go. Aside from freeing you from the shackles of paper, cloud storage means your documents are readily available wherever and whenever you need them. Why bother dragging paper documents from A to B, when your phone or laptop can allow you to get the same information from the cloud? Tired of trying to decipher the annual leave planner? 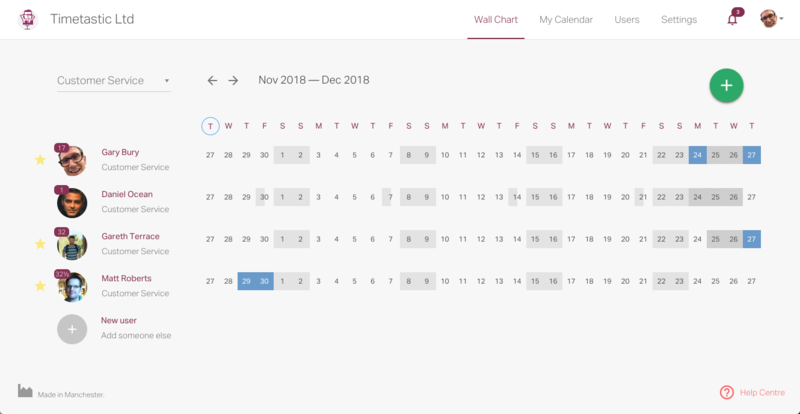 Why not chart your annual leave and absences accurately and clearly using https://timetastic.co.uk? A straight-forward, cost-effective solution to monitoring all forms of work-related absence, Timetastic can be easily scaled to suit the needs of any size business. It's amazing just how much paper a wage slip can take up! Particularly if you work in an organisation with numerous employees, a significant amount of paper may be wasted in printed payslips. https://www.epayslips.co.uk/about-epayslips provides you with everything needed to deliver digital payslips securely to their intended recipients. 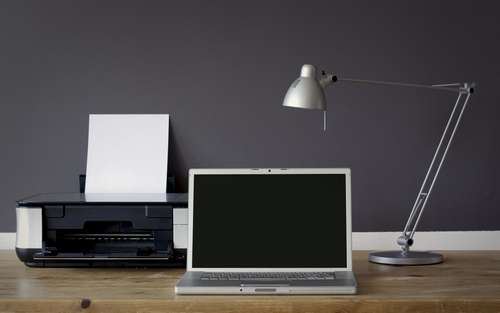 Halve the amount of paper you use with a simple adjustment to your printer. Just changing the default setting on your printer from single-sided to double-sided printing could reduce the amount of paper used significantly. Double-sided printing also makes for easier reading: no one wants to trawl through reams of sheets unless they absolutely have to. Accurate, up-to-date financial record keeping doesn't just ensure you know exactly how much you've got coming in or going out, it's also a vital tool for future planning and decision-making. 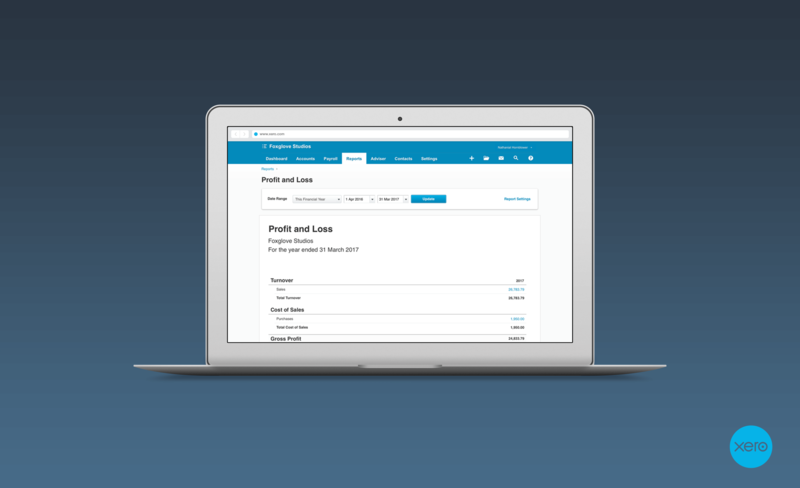 Cloud-based accounting packages, such as Xero and Freeagent help to keep accounting simple, as well as provide an extremely secure method of storing financial data. Accounting packages allow information to be accessed remotely as well as in the office. We live in an age when clients can take legal action if their financial data falls into the wrong hands: cloud accounting is far more secure than paper, offering greater protection for you and your customers. A growing number of companies are making the switch from paper-based invoicing to electronic methods - Zoho Invoice is one such app to help you. Not only does it save paper, many bill payers much prefer an electronic bill. An electronic bill also offers the chance to provide links to payment methods, statements and other useful data. Firms from all sectors are taking the plunge, why not be next? Flyers, posters, leaflets and even direct mail are rapidly becoming redundant when it comes to effective marketing. 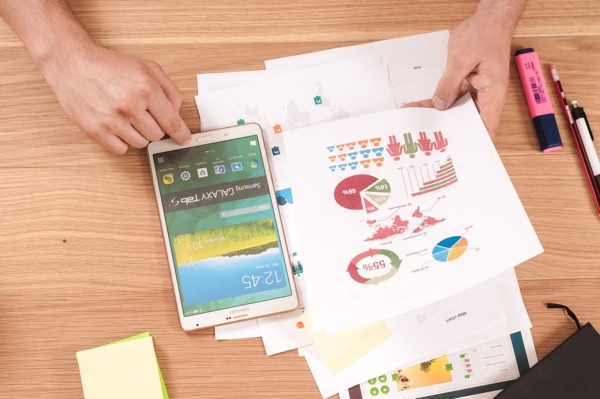 With ever-growing numbers of people using the Internet as their primary source of consumer information, digital marketing is the route most likely to yield the ROI you're looking for. Banners, blogs, social media, backlinking and savvy content can all make a difference, potentially enhancing your bottom line as well as reducing your stationery bill. Contrary to popular opinion, there is actually relatively little information which needs to be kept for years at a time. 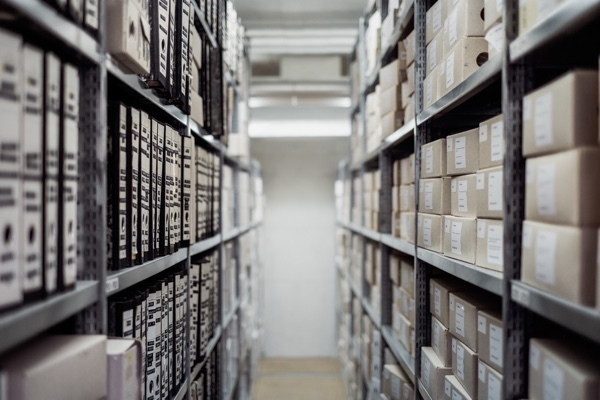 In many cases, online data storage combined with ensuring that only what's needed is collected can greatly simplify your filing. Any costs relating to online, digital storage are usually rapidly repaid by the reduction in storage costs associated with paper filing. What would happen if your workplace ran out of paper? How would you manage? Test staff ingenuity at the same time as finding out what works by "accidentally" running out of paper. When faced with such an emergency, it's amazing the strategies which workers can come up with to ensure that the job gets done without a piece of paper in sight! A "printer breakdown" can also have a similar result. If your workplace gives workers the luxury of a personal printer, try switching to shared ones instead. Many companies notice a real difference in print volume when a shared printer is installed. Almost everybody uses electronic means to stay in touch with friends and family: why not continue the trend into the workplace? Chat and file sharing systems can ensure that colleagues have all the information they need to get the job done, without drowning in memos and paper updates! If you're serious about saving the planet one tree at a time, as well as saving money, space and printer ink, these tips are going to go a long way to ensuring your success as a paper-free zone! Why not give paper-free a go and enjoy the difference it makes? Along with Matt, I'm the founder of Timetastic. I like things in life to be simple, but often that's complex. I do a lot of product support, it's a great way to stay close to our customers. How much data are you willing to share with your employer? Can you dismiss an employee on sick leave?